Bircher, William, A Civil War Drummer Boy: The Diary of William Bircher. Edited by Shelley Swanson Sateren. Blue Earth Books, 1999 (Ages 9 – 12). Available for free download through Google Books. Bobrick, B. The Battle of Nashville: General George H. Thomas and the Most Decisive Battle of the the Civil War. Knopf Books for Young Readers (Random House), 2010. Cunningham, Alvin Robert, Conrad Elroy, Powder Monkey: The Role of the Navy in the Civil War. Perfection Learning, 2004 (Ages 9 -12). The book introduces the causes of the Civil War and then moves on to the historical fiction portion that involves Conrad Elroy. Confederate blockade runners and commerce raiders, ironclads, submarines and torpedoes. Glossary included. Herbert, Janis, The Civil War for Kids: A History with 21 Activities, Chicago Press Review, 1999 (Ages 9 -12). This book covers the Civil War and its leaders. Activities involve battle reenactments and soldiers’ rations. Most of the activities are best for groups and are particularly suited for the classroom. MacPherson, James M., Fields of Fury, The American Civil War, Atheneum Books, 2002. Noted Civil War author MacPherson has prepared a well-organized book for children. It covers both the military and civilian side of the war and the period of Reconstruction. Glossary included. Murphy, Jim, The Boys’ War: Confederate and Union Soldiers Talk About the Civil War, Sandpiper, 1993 (Ages 8 -12). Ray, Delia, A Nation Torn, The Story on How the Civil War Began, Puffin Books, Scholastic Inc. 1990 with newer printings. (Young Adult, about 12 years old and up). Covers the period of 1860 – 1861 and the different problems that let up to the Civil War. Ray, Delia, Behind the Blue and the Gray, The Soldiers Life in the Civil War, Puffin Books, 1996. This is the sequel to Delia’s book on the how the Civil War began. An interesting perspective for the young reader because it covers the war from the soldiers’ point-of view. Styple, William B., The Little Bugler, Belle Grove Publishing Co, 1998. December 1998. This book is about the Gustave (or Gustav) Schurmann who was only 12 years old when he started his military "career". By he time he mustered out at the ripe old age of 15 he was a veteran of ten battles. The official records list him as a drummer. The author reconstructs the experiences of young Gus from the accounts of other and other sources. Actual experiences of teenage soldiers and young women wrapped up in the action during the Battle of Gettysburg. Warren, Andrea, Under Siege! : Three Children at the Civil War Battle for Vicksburg. Farrar, Straus and Girous (BYR), 2009 (Ages 9 – 12). A look at the Battle of Vicksburg through the writings of three children who were witnesses to the battle. One perspective is that of two Southern children who ended up hiding in the caves dug by the residents of Vicksburg. 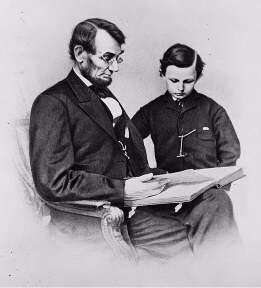 The Union perspective was by 12-year old Fredrick Grant, son of General U.S. Grant.